Aust Guineas winner Grunt will be one of two Mick Price-trained G1 winners to gallop at Caulfield. On a day when two Group One winners will kick off their campaigns in the weight-for-age Bletchingly Stakes, another couple of elite-level performers will also make appear at Caulfield. 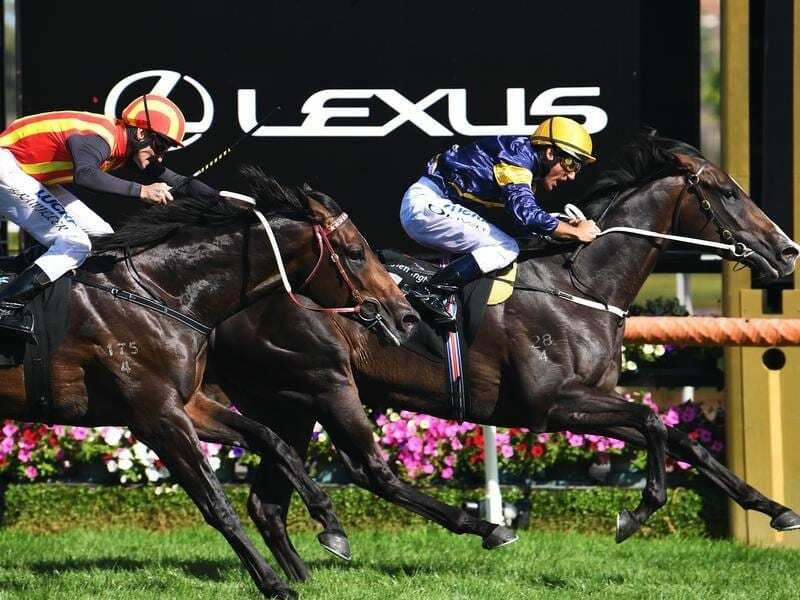 Saturday’s Group Three Bletchingly Stakes features the return of multiple Group One winner Black Heart Bart and dual Group One-winning sprinter Vega Magic in the field which has been reduced to eight on Friday. Three-year-old colt Ardrossan has been scratched from the Bletchingly, with trainer Mick Price to wait for a more suitable first-up option in the coming weeks. Price still has a number of runners set to compete at Saturday’s season-ending city meeting while two of his Group One-winning horses, Grunt and Mighty Boss, are scheduled to gallop between races. Grunt won the Group One Australian Guineas at his most recent start in March while Mighty Boss claimed the Group One Caulfield Guineas last spring on his home track. Both rising four-year-olds are building up for their new season returns. “Mighty Boss will probably go on a handicapping path and Grunt will go on a weight-for-age path,” Price told RSN927. Connections of Ardrossan decided to bypass the Bletchingly with Price believing the colt would have found it tough beating Black Heart Bart, Vega Magic and Voodoo Lad under the weight-for-age conditions. The trainer indicated Ardrossan was likely to run in a barrier trial at Cranbourne on Monday week before Price decides on his next target.